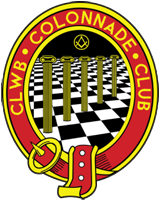 The Colonnade Club proudly presents an evening of entertainment in aid of the Cardiff Masonic Hall Organ Appeal. Acts include Gavin Davies (WNO Baritone), Sam Hickman (Professional Harpist and Soprano) and Cardiff Masonic Hall’s very own Nina Shuti. Tickets are £10, or a table of 10 can be secured at a discounted price of £90. Email deputy-chairman@nullsouthwalesmason.club or call 07535582028 for tickets and more information. This entry was posted on Friday, November 11th, 2016 at 2:50 pm	and is filed under Colonnade Club, News.